OMG! I didn’t think corned beef for lugaw! Sounds awesome! Perfect for this rainy Sunday! 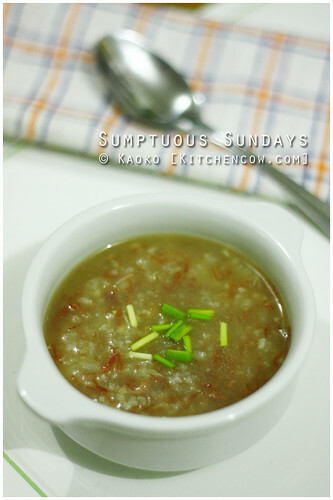 Just saw this on Link Within and remembered what I had in Binondo last Monday: Roast Duck Congee! I don’t really order congee when I eat out, but OMG. Yum.